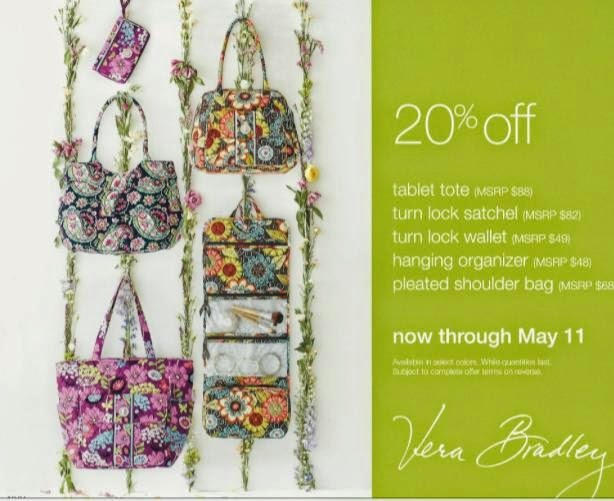 Vera Bradley Mother's Day Special! Offer valid on in store inventory only, now through May 11th at both locations! Mix and match between the breakaway lanyard, loop key chain and take note cube! Buy 2 items and get the 3rd one FREE! 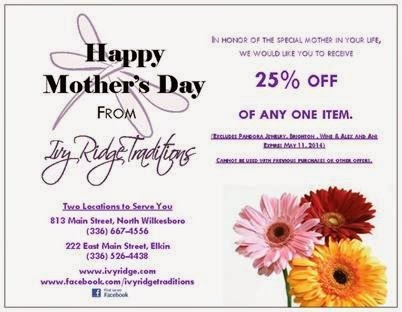 Don't forget to print this great coupon as well! You pick your own special item! 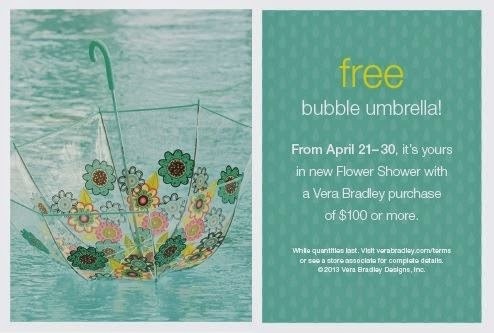 FREE Vera Bradley Umbrella with Purchase! 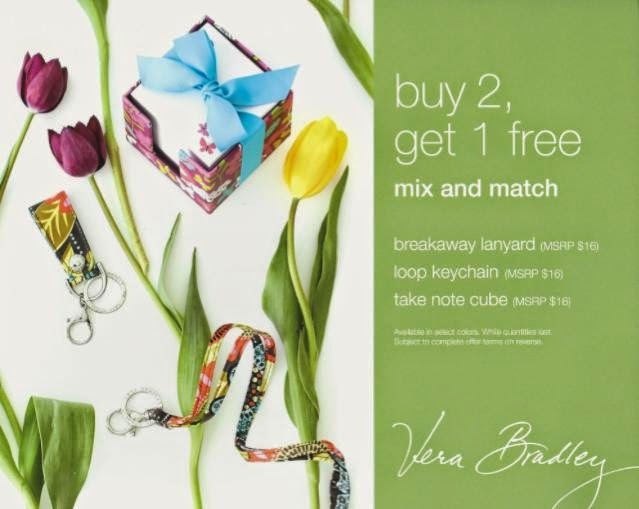 This is one of the best gift with purchase that Vera Bradley has offered! Spend $100 or more and receive this Bubble Umbrella ($40 value) for FREE! This is a big umbrella that will surely keep you and your handbag dry! Limited quantities at both shops!